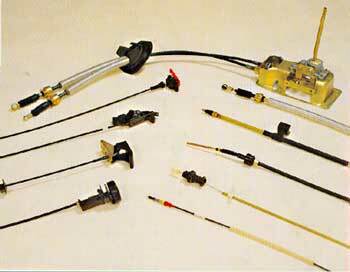 An exceptional range of top standard wiring harness and various connectors is on the offering by us, which is supplied by us to OEM and replacement markets for all types of vehicles and golf carts. Our world class range includes car gearbox, automotive gearbox, automobile gearbox, automobile clutch, vehicle parking brake, vehicle emergency brake, car accelerator, golf cart accelerator, jeep accelerator, car choke cable, car lead cable, car battery cables, automotive battery cable, car heater control, car seat adjustment, car door opening, automotive combination switch, automobile combination switch, car blinkers, automobile blinker etc. They are most reasonably priced.